Special Education—this is a topic I haven’t delved into yet on my blog. This is surprising because I am doing a doctorate in education because of Ryan’s special needs. My dissertation topic is about autism; specifically, the provision of a Free and Appropriate Public Education (FAPE) for autistic children. Your child’s right to attend public schools is perhaps something you take for granted, but it wasn’t until the passage of the Education of the Handicapped Act in 1975 that children with special needs had any right to a public education. 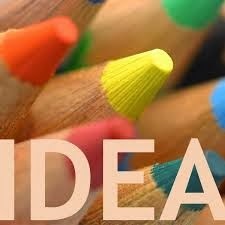 In 1990, the act was reauthorized and renamed the Individuals with Disabilities Education Act, better known as IDEA. It was at this time that eligibility was extended to children with autism. If you think about it, 1990 wasn’t all that long ago…until that point, autistic children had no hope of even attending a public school and were either kept at home or placed in institutions. When I look at Ryan and how he’s blossomed though the myriad of services he receives from his school here in Hawaii, I am at the same time saddened for the children who came before him who got no such help. 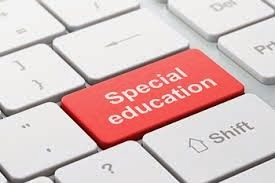 IDEA defines FAPE as special education and related services that are provided at public expense, under public supervision and direction and without charge to the recipient; meet the standards of the state’s educational agency; include an appropriate preschool, elementary school or secondary school education; and are provided in accordance with the plan laid out in the Individualized Education Program (IEP). The IEP is the cornerstone document of IDEA and is essentially the contract between the schools and the parents as to what services they will provide the child to ensure s/he receives a FAPE. That seems like an all-encompassing list until you realize Behavioral Therapy is not there. Applied Behavior Analysis (ABA) and other forms of behavior interventions are the standard of care for treatment of autism and are recommended for 30 – 40 hours a week in cases like my son, who is on the severe end of the spectrum. The omission of ABA does not mean it does not have to be provided; there have been several legal decisions in which ABA has been deemed to be a related service and appropriate for the child’s education and certainly many schools provide it willingly as part of a FAPE. But legally speaking—and I am not a lawyer—it appears there have been rulings under IDEA that the provision of ABA is at least sometimes considered to be part of a child’s FAPE. To date, no cases have reached the Supreme Court regarding the provision of ABA services. 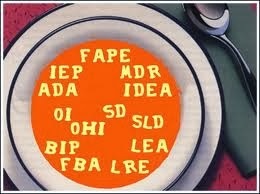 Special education law is an alphabet soup of terms. Some courts have held that schools can take economic considerations into account when deciding what constitutes a FAPE. This could also affect decisions by schools to refuse or limit ABA services to children who need them. Budgetary constraints are an unfortunate reality for school districts, just as an autism diagnosis and the general lack of health insurance coverage are a financially crushing reality for parents. Perhaps because of the lack of insurance coverage, many parents rely solely on the schools for their child’s ABA programming, and it is not uncommon for parents to be unhappy with the provision of ABA services. In fact, autism lawsuits represent the fastest-growing area of special education litigation and nationwide, autism cases are disproportionately represented in lawsuits regarding the provision of a FAPE. This is particularly true in Hawaii, which by far has the highest percentage of cases. In the provision of a FAPE, parents want to see their children educated to the level of their potential; however, this is not required under the law. 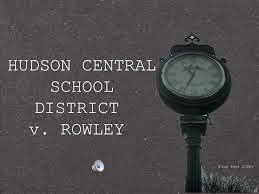 A seminal case that reached the Supreme Court was Board of Education v. Rowley, in which the parents of a deaf child sued for interpreter services; the school argued the child was adept at lip reading. In this case, the Court ruled that although IDEA requires that a FAPE be provided, the state has no requirement to educate a child to their maximum potential, but rather enough to achieve a minimum level of accomplishment. In Rowley, the Supreme Court introduced the phrase “basic floor of opportunity” and language that schools must provide services, “…reasonably calculated to enable the child to receive educational benefit”. This test has been adopted by lower courts in determining if a school district is in compliance with IDEA, and courts generally accept the school’s recommendation for the child’s IEP as being correct unless parents can clearly show otherwise. When parents are successful in litigation, it is usually because there were procedural violations of IDEA as opposed to the child’s program being inappropriate. When parents sued on the basis of the type of ABA methodology being used for their child, school districts have prevailed approximately 60% of the time. I have heard IEP meetings described as hostile settings, and I am thankful I have never had that experience. I do prepare myself and come in understanding my son’s rights, coupled with the realization that school resources are not unlimited and that as a parent, I have a responsibility to work with my son at home, too. I treat school personnel with the respect I expect them to show me. I also believe that more is not necessarily better—a quality program administered by a capable therapist is more important than simply the number of minutes of ABA provided each week. And finally, although it probably goes without saying, understand your child’s needs and familiarize yourself with special education law. Know your child’s rights and advocate for them. Although I frequently hear school personnel discussed in what can only be charitably described as unflattering terms, I believe most have the children’s best interests at heart. But there are limited resources available, so it’s up to you to make a strong case in negotiating the services the schools will provide for your child. Your child’s future depends on you. This is really great for Autism child. Thanks for your great afford. iep special education Are you want to ensure your child future for special educational then it is high time joined with us . We are ready to help you for any kind of educational needs. Presently our aims for student success by uniting parents, student and school management and all of the care. It is wonderful site for Autism child.It increase knowledge & activities the Autism child. special education strategiesWe contribute amazing help out for parents and child for individual requirements just before appraise your child`s exceptional needs you can obtain our help. move toward in the midst of us for well again education.